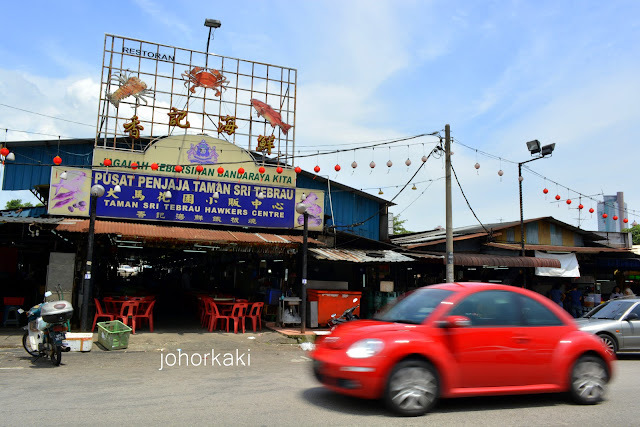 Today, we dropped by at one of the old names of JB wanton mee, Yap 葉记云吞面. 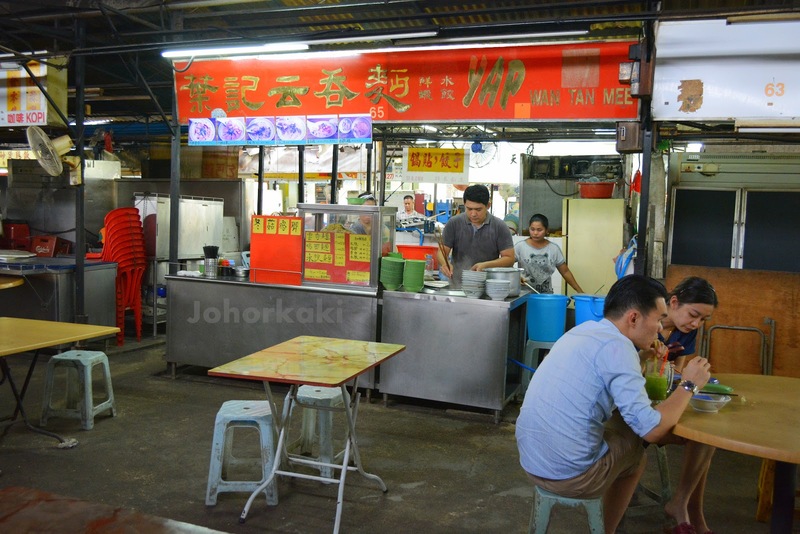 Yap wanton mee is stall number 65, inside the old, dingy Taman Sri Tebrau Hawker Centre. 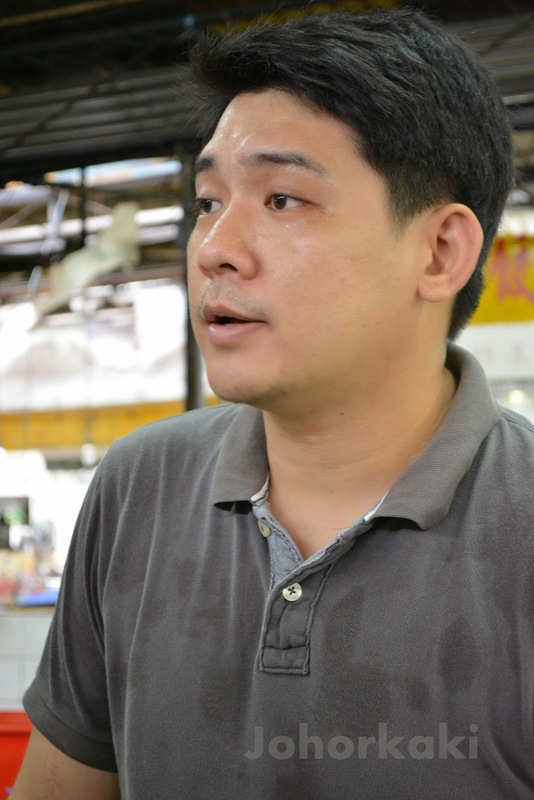 The owner Ah Chiang 亚強 has been running this stall for 5 years, taking over from his parents. Ah Chiang's parents still make the egg noodles used at this stall. 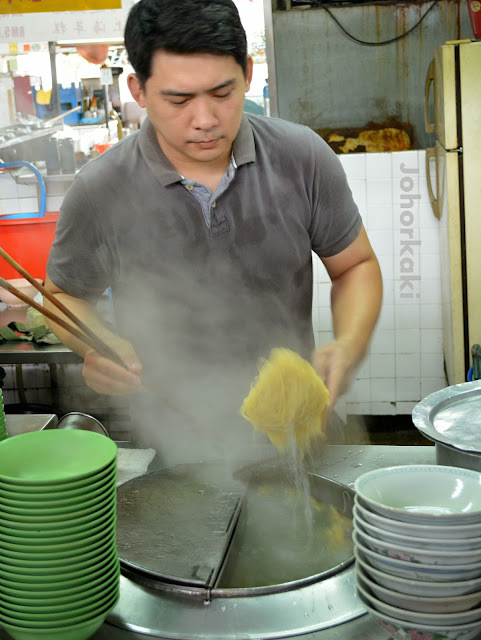 Ah Chiang said that both good quality noodles and mastery of the cooking technique are essential to a good bowl of wanton mee. 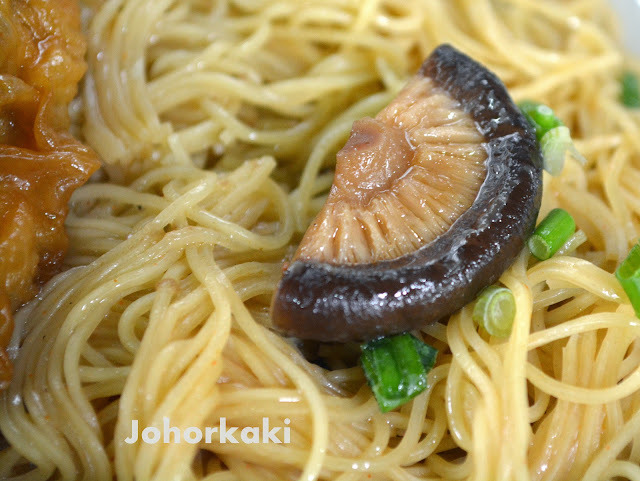 We ordered this mushroom chicken claw noodles. Oh my! these braised chicken claws were soo... delicious! Braised in savoury mushroomy sauce till the bones were soft, the claws were large and had lots of soft wrinkly skin, and gelatinous tendons. Half a small Chinese black mushroom, spongy and packed with savouriness from the braising sauce. Yap's egg noodles are among the best in JB. That says a lot actually as JB is blessed with many good wanton mee stalls. The slender, eggy el dente noodles were coated with a simple peanut oil and sesame oil blend (with a bit of chili sauce which we requested for). 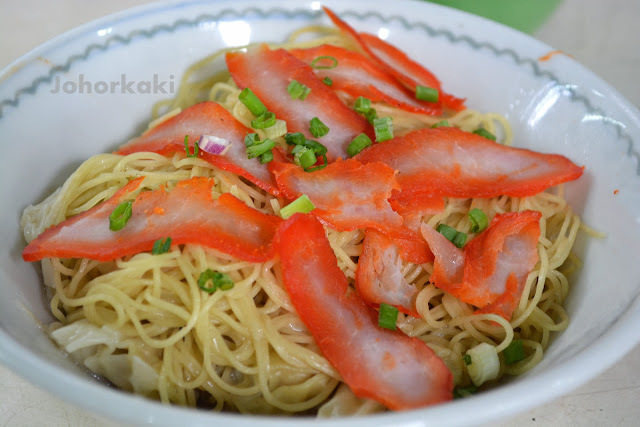 We had initially wanted to save our stomach space to review another stall, but we got so enamoured with Yap's egg noodles that we decided to go for another round of wanton mee. This time we ordered the standard wanton mee. 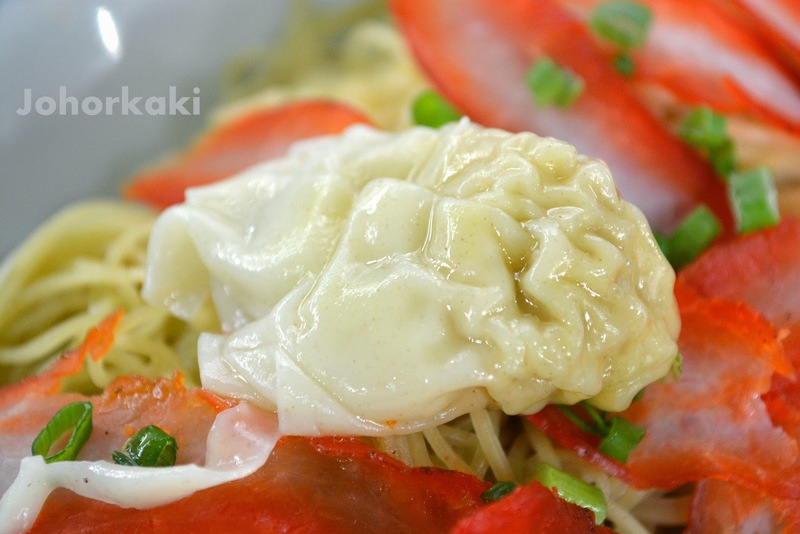 The thumbnail sized wantons were buried at the bottom of the heap of egg noodles. They were soft, smooth and packed with savoury and sesame oil flavours. This time we did not add chili sauce, so it's the basic sesame oil and peanut oil blend. 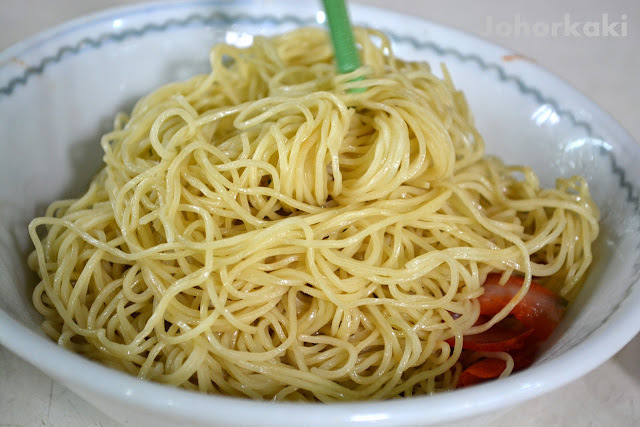 This minimalist sauce really lets us taste and appreciate the eggy flavour and the el dente spring, as well as soft bounce and pop of the noodles. The wanton mee is nice!